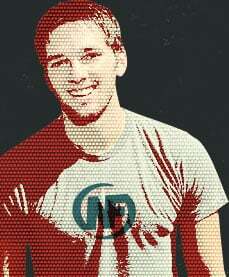 This is a post from Nerd Fitness head trainer Jim Bathurst. YES! Another Wolverine movie! LOGAN is now showing in theaters nationwide, and I couldn’t be more excited. 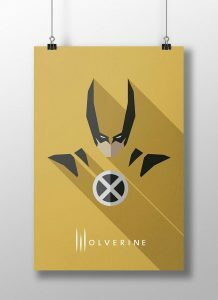 If you’re like many people, Wolverine is one of your favorite X-men (especially for short guys like myself! ), and nothing is more awesome than seeing the Little Runt rage around and beat up bad guys. To get you ready and pumped for the movie – more so than taping silverware to your hands – we’ve got a fun workout for you! Now yes, you can absolutely find Hugh Jackman’s exact workout online. It’s excellent for what he needed to do to get ready for the movie role – a bodybuilding type workout that packed muscle where it mattered for film (chest, shoulders, arms) while giving a good strength base with squats and deadlifts (and making sure Wolverine wasn’t walking on chicken legs). We’re assuming you’re not getting ready for a major Hollywood role, nor do you have 5 straight days to spend a few hours in the gym. No worries, we’re going to get a bit of the flavor of Jackman’s workout, and the Wolverine character in general, into our own Nerd Fitness Wolverine Workout! Your choice of warm-up for this one, whether it’s a bit of jump roping, light calisthenics, or one of our warm-ups. I wanted to recommend sprinting through the woods with mutton chops glued to the side of your head, but our lawyers discouraged that for some reason. If you’re going to be using a barbell in the exercise, warm up with several lighter sets of 3-5 reps! Whatever you choose, you should feel ready and mobile to move around! I’ve put together something you can do with very little or zero equipment. Things will obviously be more challenging with equipment/extra weight, but I wanted options for whichever X-men Academy you currently reside. What all of that ACTUALLY Means! Did you grow adamantium claws yet? No? Okay keep reading. What’s an AMRAP, Jim? Sounds like an organization. AMRAP stands for “As Many Rounds As Possible”. Set the clock for 12 minutes and then try to go through this 4-exercise circuit as many times as you can – in a strong, safe, controlled manner – in that amount of time. After 12 minutes is up – OPTIONAL- you can do 2-3 sets of Zottman curls (which I explain below too). Note for beginners!! : If you have never done a routine like this, cut the time in HALF or even a THIRD. A six minute AMRAP will still be tough – so will a four minute one! Until we can infuse you with mutant healing powers, it is wiser to step into new exercises with caution! Alright, let’s talk a bit more about each exercise and variation! It wouldn’t be a Wolverine Workout without deadlifts! We are looking for the classic “hip hinge” motion, where your knees are bent slightly, your hips move back, and your body bows forward. You’ll maintain a strong lower back position the whole time (natural curve). If deadlifts aren’t in the cards, you can also do dumbbell Romanian deadlifts (RDLs). This is like the top part of the deadlift – where we hip hinge – and the dumbbells only go as low as the bottom of the kneecaps. Back remains in a good natural curve position. That doesn’t work either? Do a banded good morning! Watch the wolverine workout video and see me at 00:41 step into a band and put it behind my neck and shoulders (it should sit comfortably). I then hold onto the band for control like a pair of suspenders and proceed to do the same hip hinge motion! No bars? No bands? No claws? No worries! Do the same “hips back, bow forward” motion as before just without the band – trust me you’ll still feel it. If you’re feeling saucy wolveriney, feel free to hug a backpack with some weight across your chest (not shown in video). This depends on your strength and proficiency, but we’re looking for a barbell deadlift weight of somewhere around ½ – 3/4th of your bodyweight. If you are a mutant, get around your own bodyweight. When in doubt, LESS weight. If you find yourself in the middle of the workout and think “crap-o, too heavy”, then take the couple extra seconds to reduce weight (10-50% less) or reduce reps (cut them in half). Keep it looking strong. Make Professor X proud. When I picture Wolverine in battle, I picture him with arms extended, body stretched, about to lay the slice down on some punk. We’re going to get in on that action with some medicine ball slams. Reach up overhead with a weighted exercise ball, and then slam it into the ground. Note that in the video I use a Dynamax ball that purposely DOES NOT bounce well. If you are using a medicine ball that’s closer to a basketball, be careful! Quite easy for the ball to bounce back up into your face – this is less than ideal. In either case, keep your hands on top of the ball to maintain control. If you don’t have a medicine ball: you can simply squat and swing your arms down (I find to the outside is more natural) like you’re starting a downhill ski race. The difference here from that last hip hinging exercise is that we are looking to get more movement in the knees, squat lower, and keep the chest up. In addition, we’re looking to add speed downward, as opposed to upward on a deadlift/good morning. This is NOT a collapse downward, but simply a bodyweight squat at a faster, but controlled, downward speed. One of my favorite push-pull exercises: and what sounds more like a wolverine exercise than a Renegade Row. We need to build up arms like Wolverine, and I thought it looked a bit like every time he rears back with claws drawn! 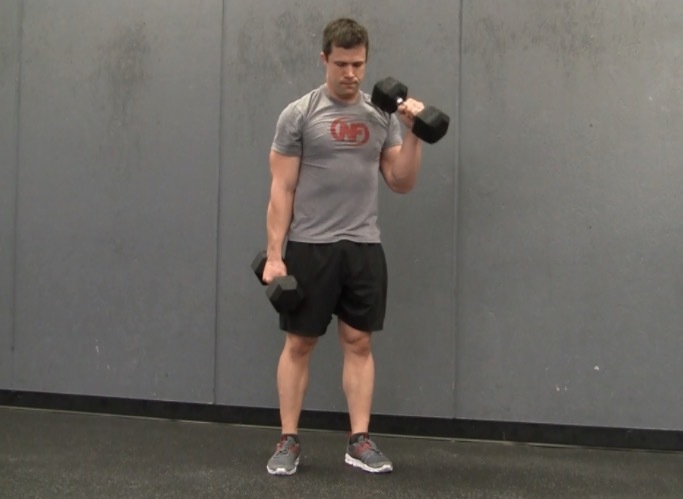 Grab a pair of dumbbells that allow you to pull strong, keep stable, and keep a good pace. This is not your chance to try and PR your one arm row. I’m using a pair of 25 lb dumbbells in the video. These would’ve been fine to keep me in a good pace for the workout. Just like the deadlift, when in doubt go lighter! Using the dumbbells as handles, do a single push-up, then do a dumbbell row just one side (while keeping your core tight), then do another push-up, then row the other side. If push-ups from your feet are too hard, you can do them from your knees. You can even do push-ups with your hands/dumbbells on an elevated surface (not shown in video). If you don’t have a pair of dumbbells, just lift your hand and drive your elbow back – squeezing the back strong! Transverse is referring to the plane of motion that we are moving through in this lunge. We do a majority of our exercises in the sagittal plane (front to back), whereas this is going to see us turning and twisting (transverse plane). #Science. It helps to get your body moving in different directions so that you’re ready for a lot more of the irregular and asymmetrical movements in life. About the only person that moves exclusively in one direction is T-1000 (sagittal plane again). You bend over to pick up groceries, twist to adjust your kid’s carseat in the back of the car, or you might need to take down a host of violent enemies threatening your existence. Stand tall with a medicine ball in your outstretched arms. If your feet are currently facing 12 o’clock (both straight ahead), you are then going to step out and back so that one foot now faces 3 o’clock. At the same time, chop downward so the ball is just past and outside the knee. Stand back up to 12 o’clock with both feet, then repeat on the other side – stepping out to 9 o’clock with your left leg, and then back. In short, imagine you’re Wolverine slashing through a crowd of sentinels. If you don’t have a medicine ball, just keep your hands outstretched, use a backpack, or do it without any weight! After your Wolverine AMRAP is done, here is an optional finisher before you cool down. Why? 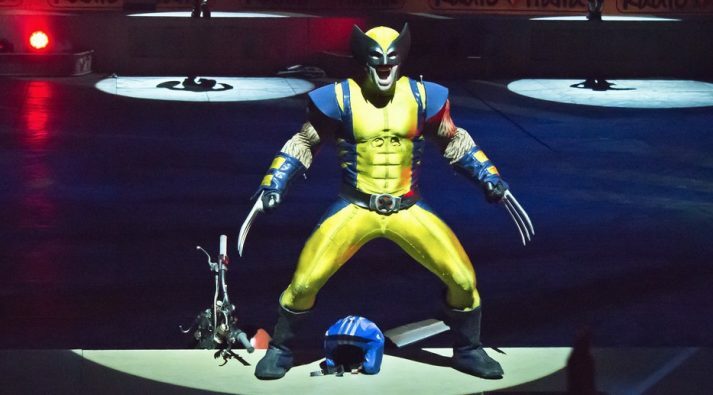 It’s in Hugh Jackman’s routine for building Wolverine arms AND more importantly, it makes me feel like I’m still slashing things up and down with a pair of claw hands. With a pair of dumbbells, curl one up to your shoulder – palm up, turn the palm outward at the top and then lower the dumbbell down. Repeat on the other side. Please note: that is me above and not actually Hugh Jackman. Whew! You’ve lifted, pushed, pulled, and slashed your way into X-men shape. Nice job! A cool down and stretch afterwards helps the muscles recover for the next workout and leaves you feeling mobile (you never know when you’ll get called into action!). There are lots of possibilities here, as long as you’re getting your heart rate lower and stretching the body, you’re good. For example, you can do things like a quick Yoga stretch routine to help wind down. Hit up this workout and have people at the movie theater asking if you’re part of the X-men – for your in-shape body, not for your weird hair and penchant for cigars. Have fun and have at it!